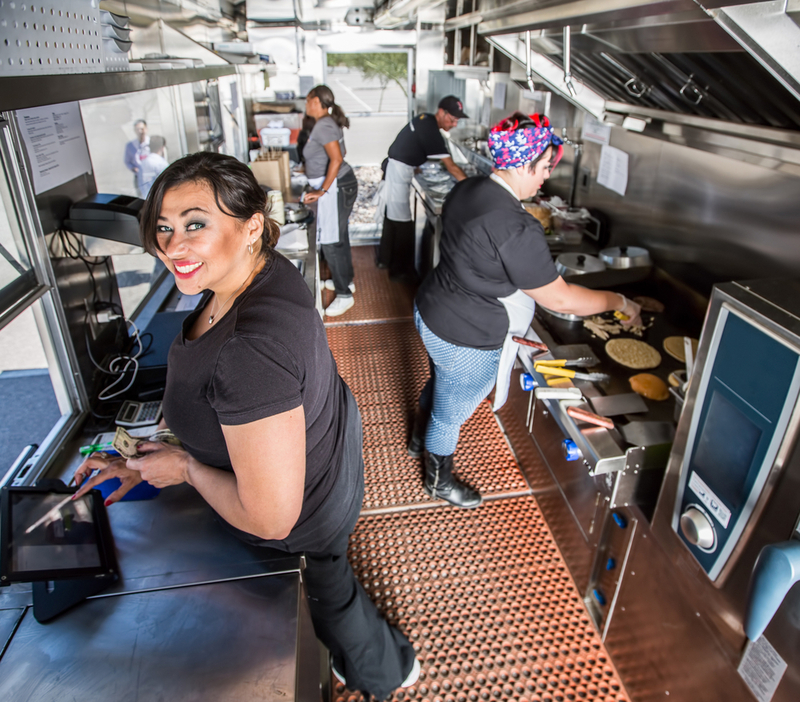 Mobile food trucks draw big crowds year-round, and they provide the community with a fun and exciting way to engage with each other and enjoy new dishes. Dealing with the possibility of food truck repairs can be disappointing, as it slows down operations and may result in lost business. One easy way to prevent a common problem is to clean the condenser regularly. Here’s what you need to know. Dirty condenser coils cause the mobile food truck’s cooling equipment to work overtime to stay cold. This means your refrigerator and freezer consume far more energy than is necessary to keep your food cold. The harder the units have to work, the more you’ll pay in utility bills. If it’s forced to work harder than it’s meant to, its life expectancy may be reduced, and you may end up scheduling more food truck repairs than average. Food truck inspectors have a responsibility to make sure the products you serve are stored at a safe temperature. Spoilage can easily occur when dairy products and meats are not chilled or frozen at the right temperature, which can pose a public safety risk. That puts your mobile food truck business at risk. Simply keeping the condenser coils clean ensures these units operate properly and keeps the food at an appropriate temperature. Why risk calling food truck repair professionals more than is necessary? Keeping the condenser coils clean helps ensure there won’t be any sudden catastrophic failures that prevent your refrigerator or freezer from functioning properly. A sudden failure may lead to a last-minute shutdown, which naturally affects your bottom line. Cleaning the condenser is simple to do with a slender plastic brush and a vacuum. But if you still need mobile food truck repairs, contact the team at Shanghai Mobile Kitchen Solutions. Based in Brooklyn, NY, they focus on the proper functionality and well-being of your truck. If you need equipment or replacement parts, you can trust them to come to the rescue. And if you’re starting from scratch, they can help implement a food truck design that draws attention. Visit their website to learn more about their services, or call (800) 253-4815.